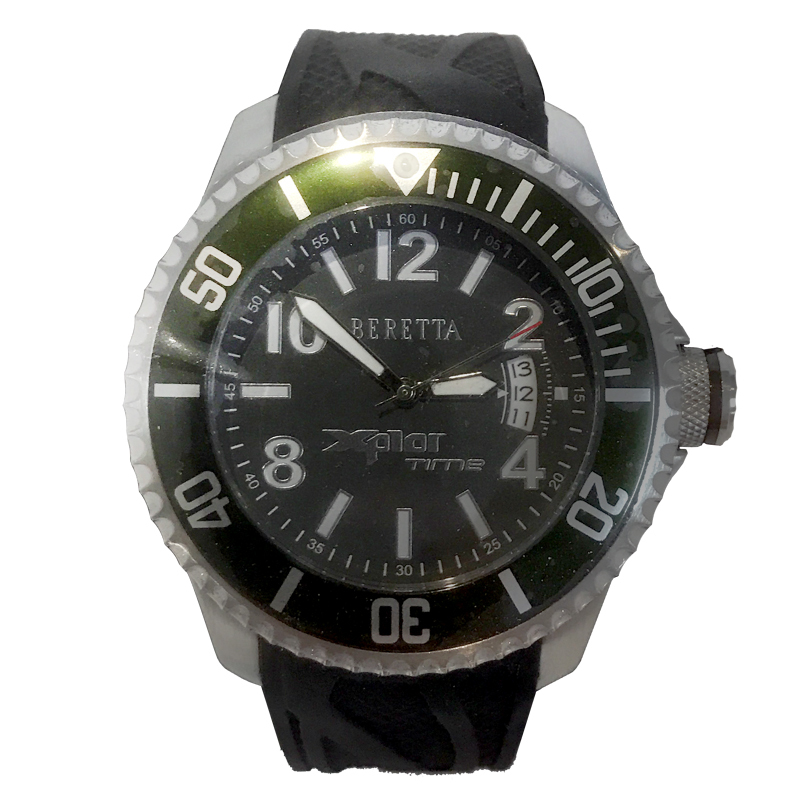 Stainless steel with one way turning bezel and aluminium top ring with numbers and indexes. 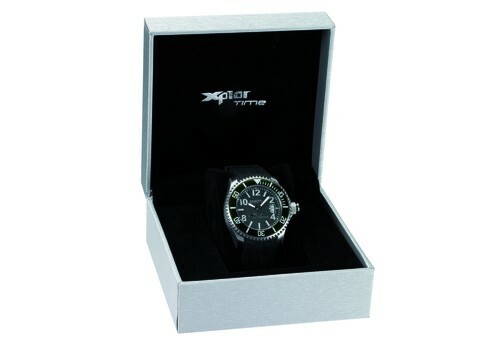 Stainless steel screw crown dial with luminous numbers, indexes and hands. Stainless steel back with 6 screws. High resistant mineral glass Silicon strap with stainless steel personalized buckle.